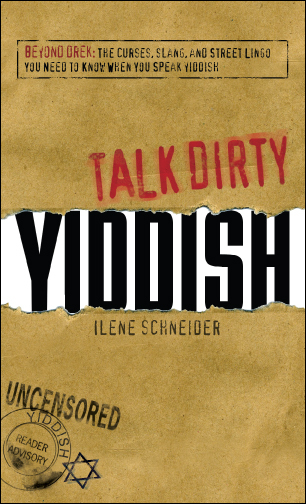 Hi: Today we’re thrilled to have a guest blogger, my friend Ilene Schneider, author of Chanukah Guilt and Talk Dirty Yiddish. Like me (Sammy Greene), Ilene has curly red hair. 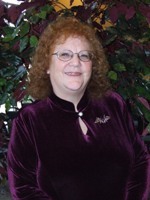 She’s a rabbi in real life and has created a wonderful character Rabbi Aviva Cohen, also with curly red hair. What I never knew (and apparently Ilene just learned), is that Aviva is actually related to me! Read the story of how we met. “The name’s familiar . . . . Let me think a minute . . . . I remember now: he once told me that when he came to the U.S. as a young man – have Josh check, but I think it was around 1919 – his parents stayed in Poland with the younger children. He told me he was the oldest and the youngest was a lot younger. There were a lot of kids in between. He felt guilt that he was able to come here before the immigration quotas stranded the rest of his family. He thought they all died in the Holocaust. But the name Aunt Rose . . . Got it! You must remember , too. It was during the shivah for Dad, Granddad to you . . . 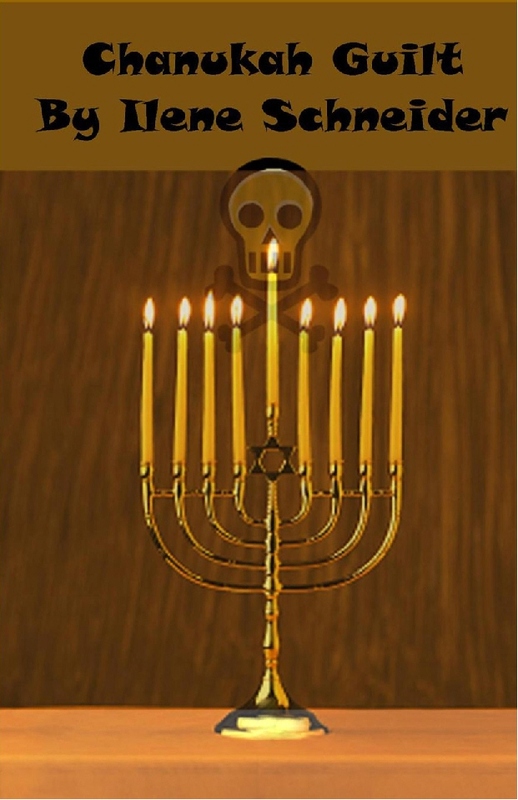 It was the third day of shivah, and the house was packed. Old lefties, union organizers, new lefties turned yuppies, feminists still proud of the label, customers, neighbors, relatives . . . everyone turned out to console my Mom Ruth on the death of her husband Simon after fifty-seven years of marriage. My sister Jean and I needed consoling, too, Jean more than I did. But then she always did think I had no family loyalty, especially after I moved to the Philadelphia area and her daughter Trudy, only five years younger than I am, followed shortly thereafter. I was looking through the cornucopia of goodies people had brought, searching for something – anything – with chocolate when I felt a draft from the open front door. I looked up and saw two unfamiliar faces, an older woman in a drab overcoat and sensible shoes holding the hand of a young girl with curly red hair. The woman had the kind of careworn face that could have belonged to anyone from age forty to eighty, although I suspected she was on the upper end of that age range. The girl, cute, eyes bright with curiosity, looking around her absorbing everything in the room, could have been a tall eight-year-old or a short prepubescent who hadn’t yet hit her hormone-fueled growth spurt. I couldn’t help staring at the girl. I felt as though I was looking in a mirror from twenty-five years ago. I sidled over to where my mother was arguing nuclear disarmament with a neighbor who was probably the only Republican in the neighborhood. My mother’s mission in life, among her many to her purposes, was to convert him. She didn’t care that he wasn’t Jewish, but she cared deeply that he was a Reagan supporter. “Mom, I need to ask you something.” I smiled at our neighbor who was relieved to be saved from my mother’s ravings about the perfidy of a man who had the chutzpah to go from being the president of the Screen Actors Guild – “a union, in case you don’t know” – to a dyed-in-the-wool conservative. Our two new visitors had moved deeper into the room, and Aunt Rose was looking around, probably for a familiar face. Before I got to them, though, my sister Jean waylaid me. “Spring!” I hate my given name, and used my Hebrew one, Aviva, instead. If I had been born in the Sixties, I’d have the excuse that my parents were hippies, but I missed out on the Summer of Love by over fifteen years. The only reason for my name is that my mother is nuts. “No, I’ll do it. I’m the oldest.” Jean might be fifty years old, but adolescent sibling rivalry is still her favorite mode of dealing with me. Still chuckling, I let Jean go make the introduction, while I searched out my niece Trudy. She was with a rather no-nonsense looking woman, wearing chinos and short, almost mannish hair, and with warm, brown eyes that radiated kindness. “Aunt Aviva, I want you to meet my friend, Sherry Finkel.” One look at Trudy’s face told me that Sherry was more than a “friend.” I shook her hand and almost welcomed her to the family, but I had learned a long time ago not to invest too much meaning in Trudy’s “friends.” My niece was, to put it mildly, fickle in her romantic choices. Not that I could talk – I was on husband number two, who was probably propping up the wet bar in the basement rec room. He wasn’t usually a drinker, but family gatherings – my family, in any case – sent him right to the nearest liquor bottle. I nodded and looked at the picture she’d handed me. The clothes had changed – she was wearing a v-necked t-shirt decorated with sequins; I was wearing a button-down white blouse with a Peter Pan color – and her hair was curlier and redder than mine, but we definitely looked like twins. I stood on the couch and took the picture off the wall. “No need. We’ll bring the mountain to Mohammed.” At her puzzled look, I explained the allusion. Previous Christchurch Quake Relief Next XELlent Interview on WXEL!